Gal Gadot is pretty busy right now with Wonder Woman 1984, but she's managed to find time to voice a brand new character in Disney's Ralph Breaks the Internet. Yeah, they got rid of the Wreck-It Ralph 2 part, thank goodness, and streamlined the title. Gadot has tweeted rather excitedly about her voice role in the Disney sequel that finds ham-fisted video game hero Ralph (John C. Reilly) and hyped-up sidekick Vanellope von Schweetz (Sarah Silverman) journeying through the Internet. 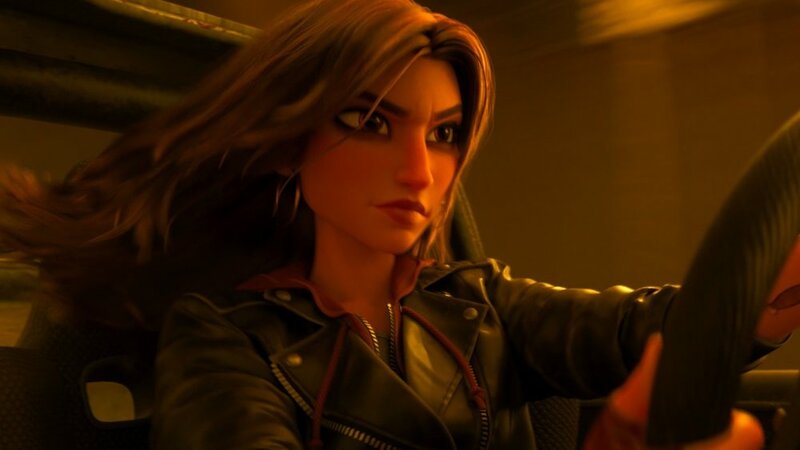 She'll voice Shank, described as "a tough and talented driver in an intense and gritty online racing game called “Slaughter Race". Shank might be carrying a key part to help fix Vanellope's "Sugar Rush" game, and it looks like she'll have to race for it. She kinda looks like Gadot, too. Diggin' it. Ralph Breaks the Internet opens November 21st. You can check out a clip of Shank in action below!